The Merseybeats return to the Cavern to re-create the shows they performed there in the 1960s! A very special annual show from one of the originals at the Cavern Club. 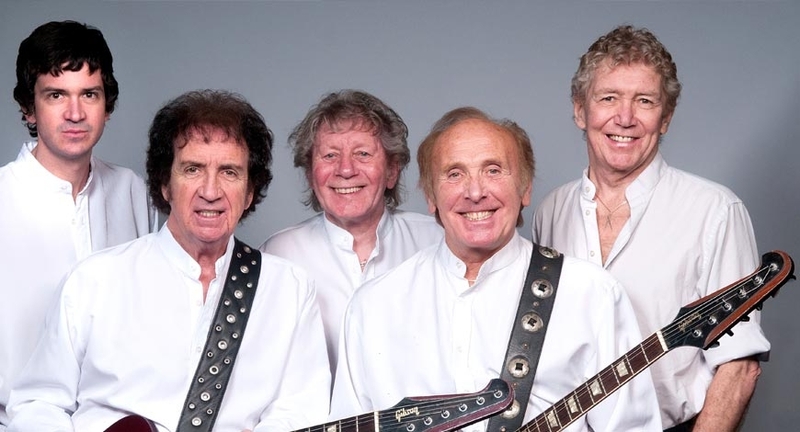 They still continue to enthral thousands of fans worldwide, they are one of the most popular and authentic sixties bands still performing, 50 years on! The Merseybeats emerged from the Liverpool Merseybeat scene in the early 1960s, performing at The Cavern Club along with the Beatles, Gerry and the Pacemakers and all the other great Mersey Beat bands. The current line-up is: Tony Crane MBE (founding member) lead vocals and lead guitar, Billy Kinsley (founding member) lead vocals and rhythm guitar, Bob Packham (joined 1974) backing vocals and bass guitar (ex The Galvinsers), Lou Rosenthal (joined 2000) drums, Adrian Crane (Tony Crane’s son), keyboards & lead guitar (joined 2000) and Chris Hutchison, keyboards & backing vocals (Joined 2016). Originally called the Mavericks, Tony Crane and Billy Kinsley formed their first band in late 1960 and became the Pacifics in September 1961. They were renamed the Mersey Beats in February 1962 by Bob Wooler, MC at the Cavern Club. 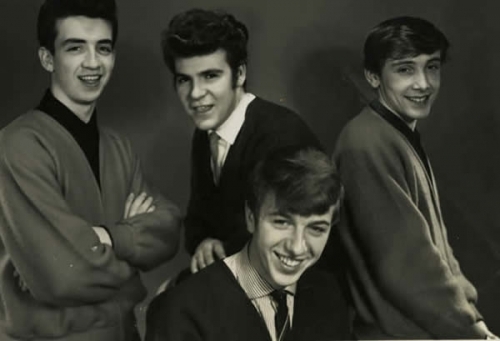 Later in April 1962, they became the Merseybeats. By now Crane and Kinsley had joined up with guitarist Aaron Williams and drummer John Banks. They signed a recording contract with Fontana and had their first hit single in 1963 with “It’s Love That Really Counts”, followed in 1964 by their million-selling recording “I Think of You” which gained them their first gold disc. They had two more major hits, “Don’t Turn Around” and “Wishin’ and Hopin’ ”. Other successful recordings included “Last Night”, “Don’t Let it Happen to Us”, “I Love You, Yes I Do”, “I Stand Accused”, “Mr. Moonlight”, “Really Mystified” and “The Fortune Teller”. Kinsley returned to the group in late 1964. 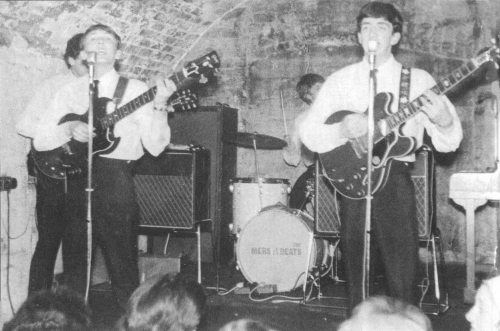 The Merseybeats appeared regularly at Liverpool’s Cavern Club, and appeared there with the Beatles on more occasions than any other band from that era. They were also successful abroad, touring in Germany and the US in 1964, and having their own Merseybeats Show on Italian television. In 1966 Crane and Kinsley formed a vocal duo called the Merseys. They had a major hit with their first single, a cover of the McCoys’ “Sorrow”, later covered by David Bowie.